Tough 303 dub, ambient techno and "somnolent acid" from Andreas Tilliander, better known as Mokira. Taking the handle TM404 in tribute to Roland - who never actually manufactured a 404, apparently because the sound for four in Japanese, 'chi', is that same as that for death, and was therefore considered taboo - Tilliander created all the tracks featured on this album live one-take, in real-time, and using hardware only - chiefly the mighty 303. 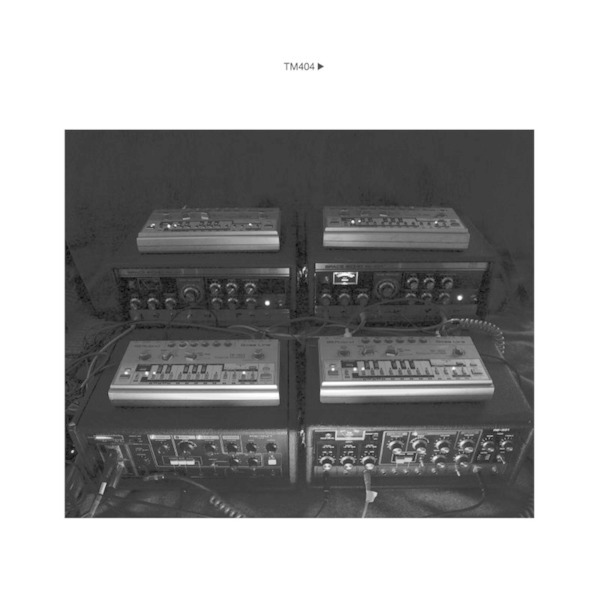 The Swedish producer reckons the TM404 aesthetic could be placed somewhere between the raw acid of Adonis and Maurice and the polyrhythmic minimalism of Steve Reich; to our ears it sounds more like what early Chicago house might have done if its exponents had been more interested in reggae than disco. A killer proposition, in other words. Over the course of the album you'll hear traces of Rhythm & Sound, Cloudface, Pole, Danny Wolfers, AFX, James T. Cotton, Pan Sonic and Anthony Manning, but Tilliander deserves for making something, which in the end, sounds like no one but him - all the more impressive given his self-imposed restrictions on equipment and post-production.